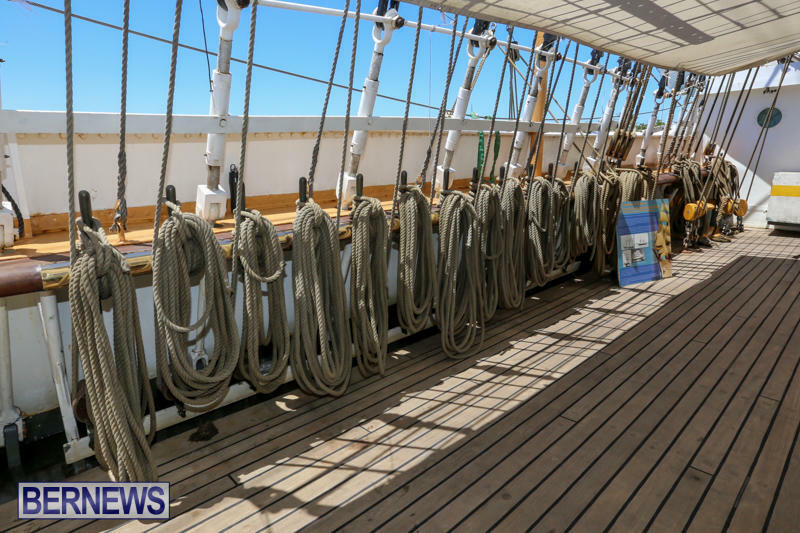 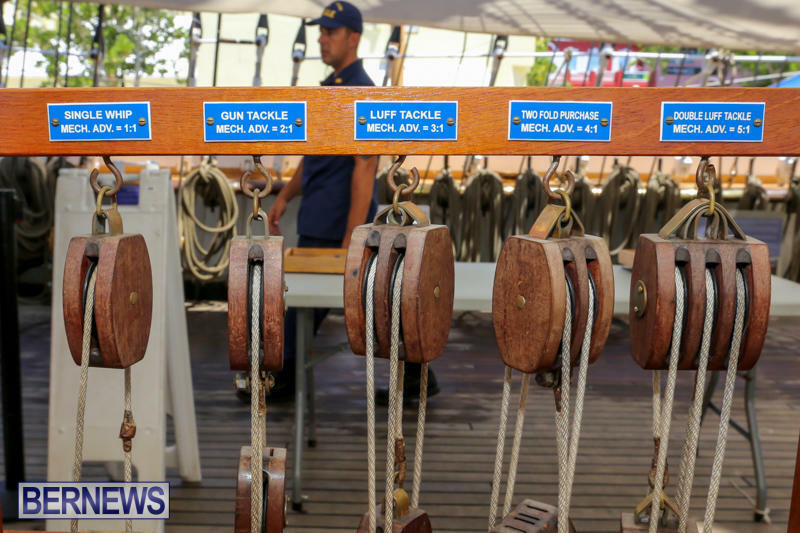 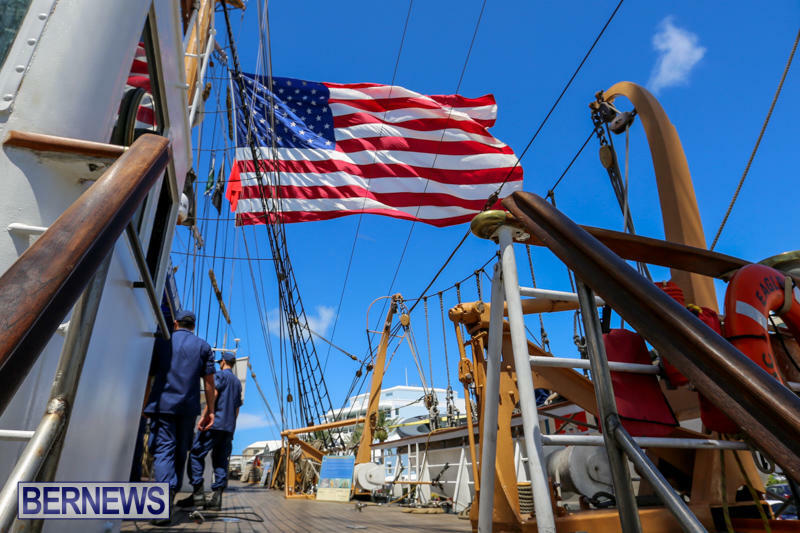 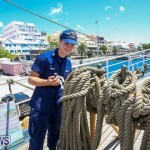 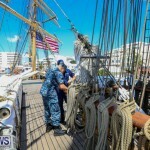 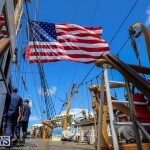 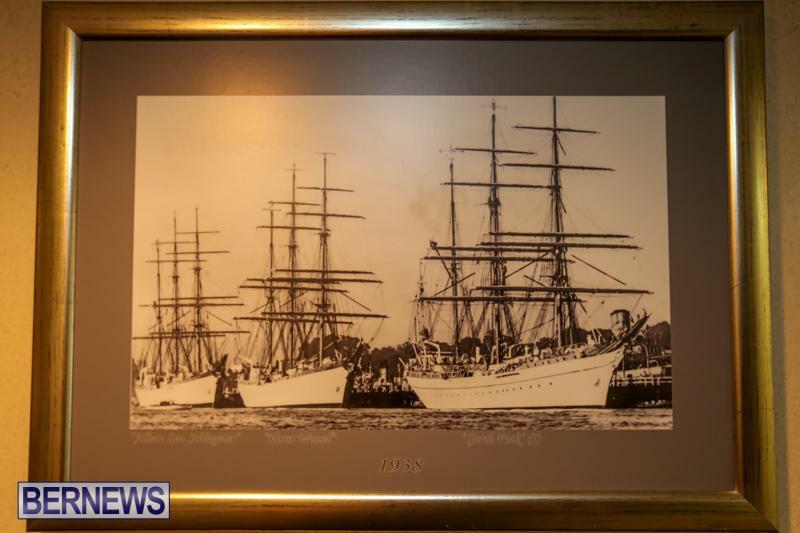 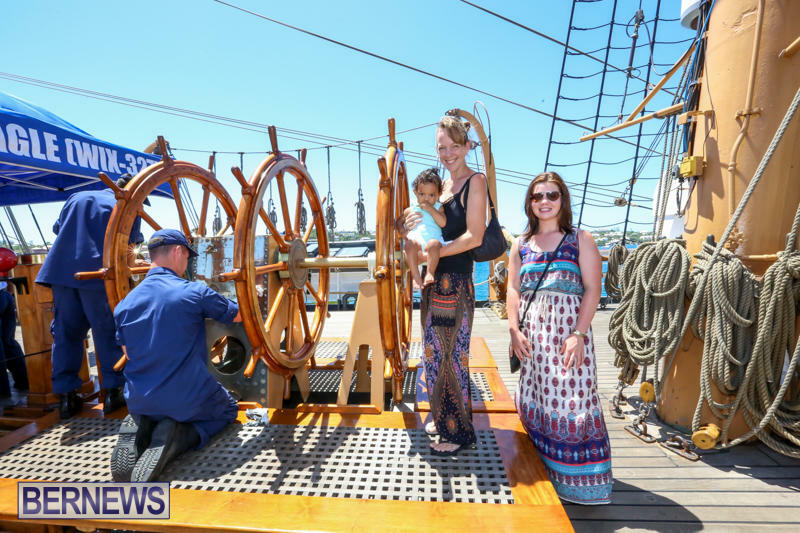 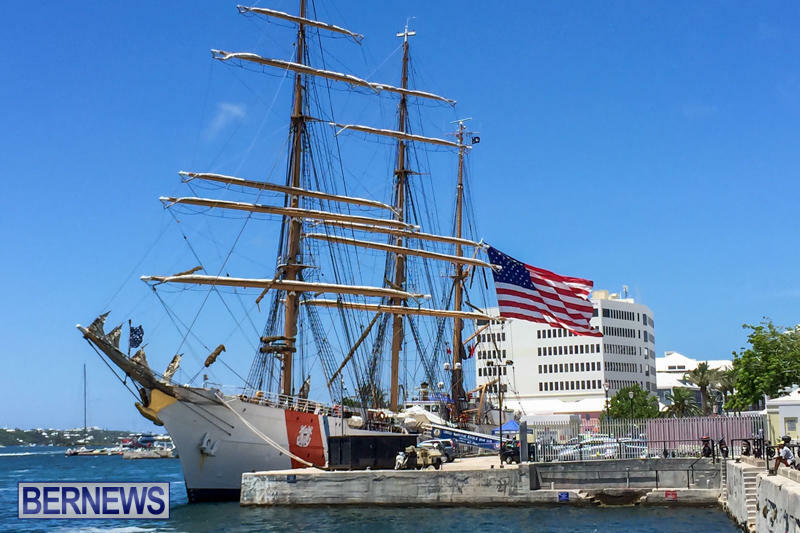 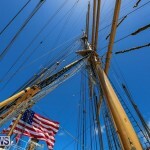 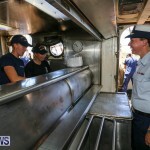 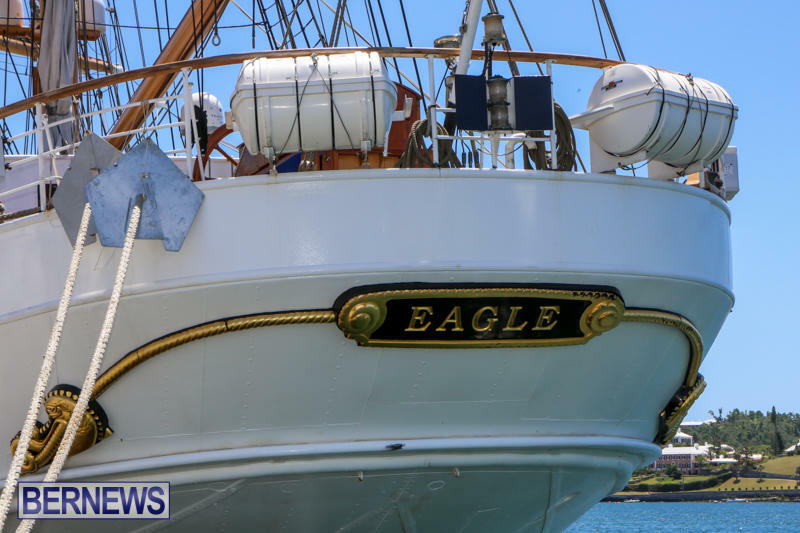 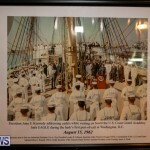 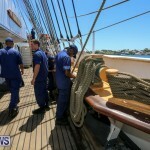 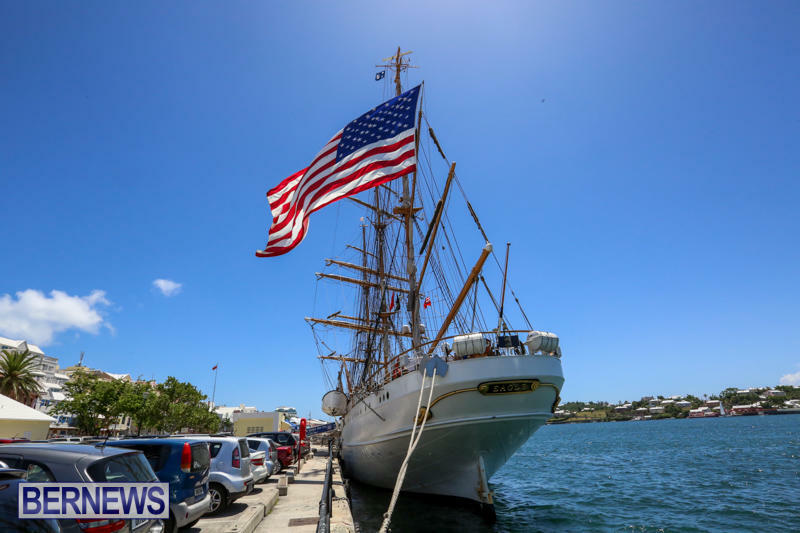 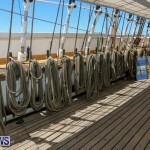 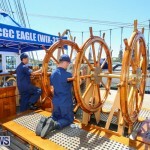 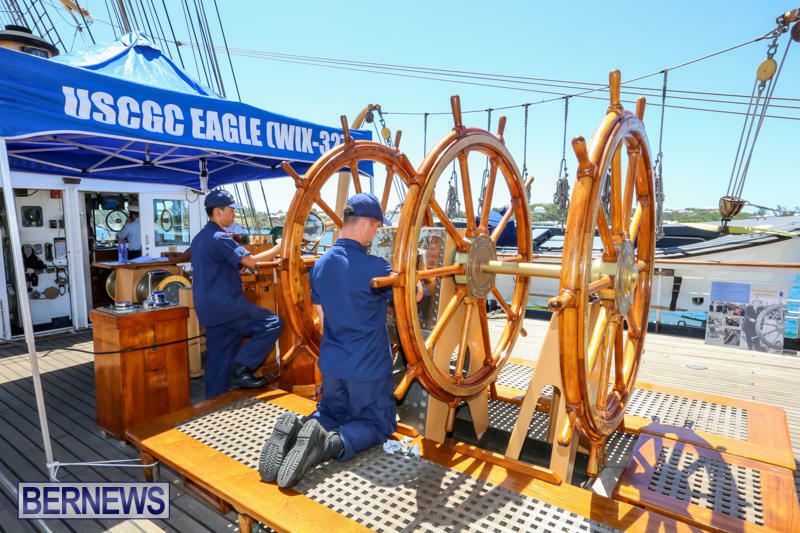 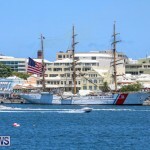 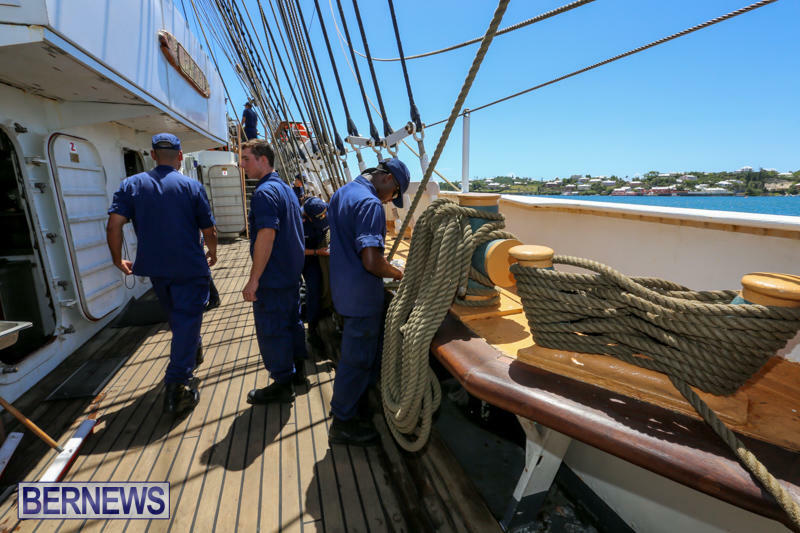 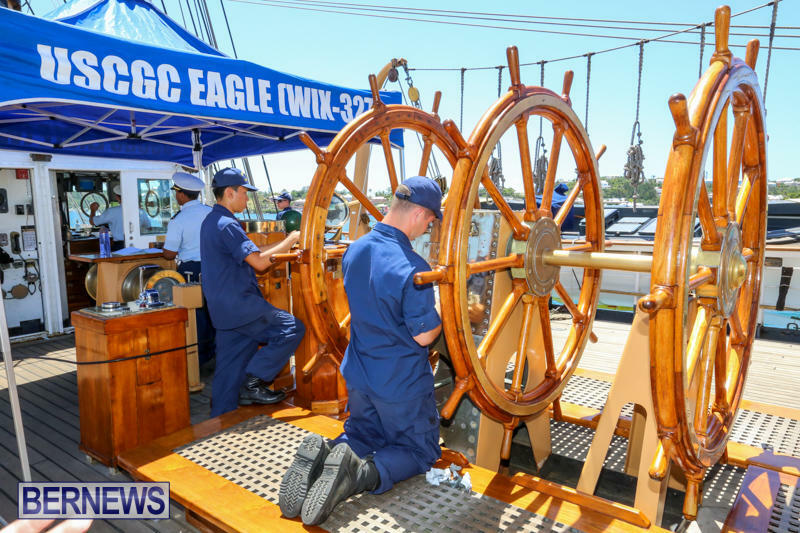 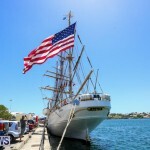 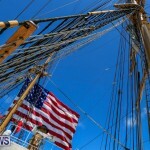 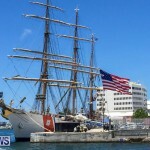 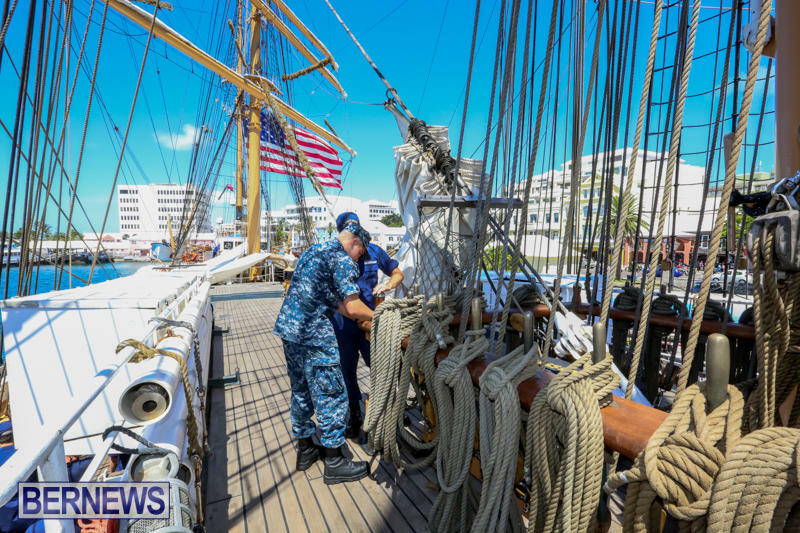 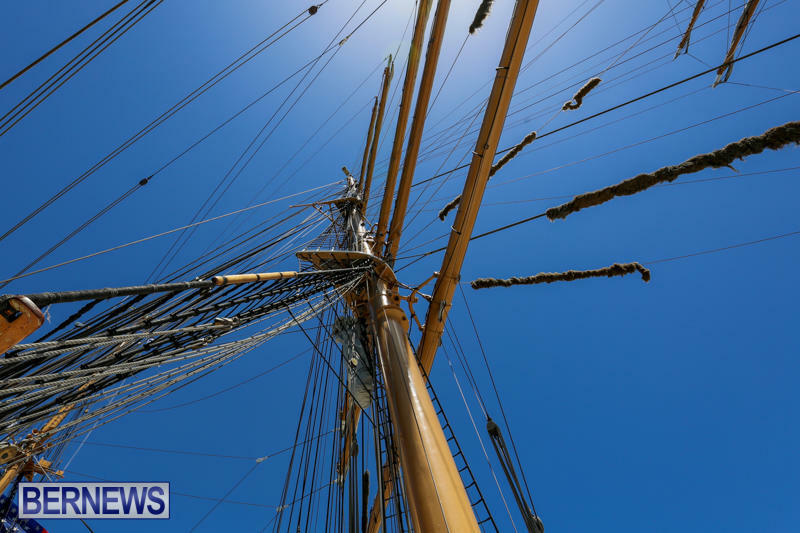 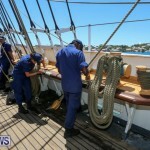 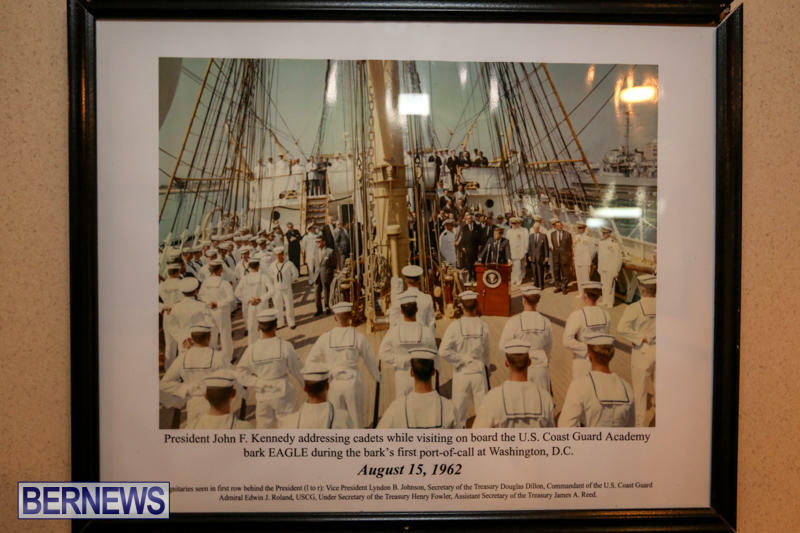 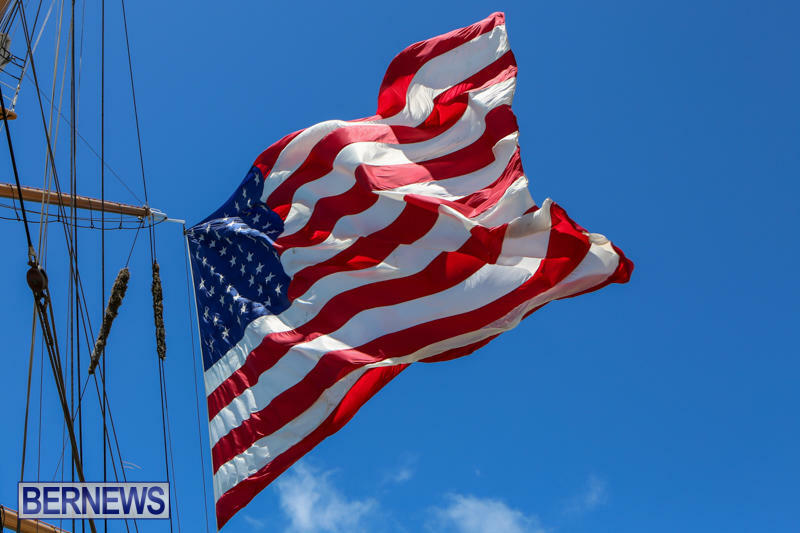 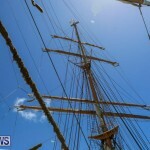 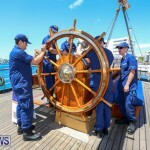 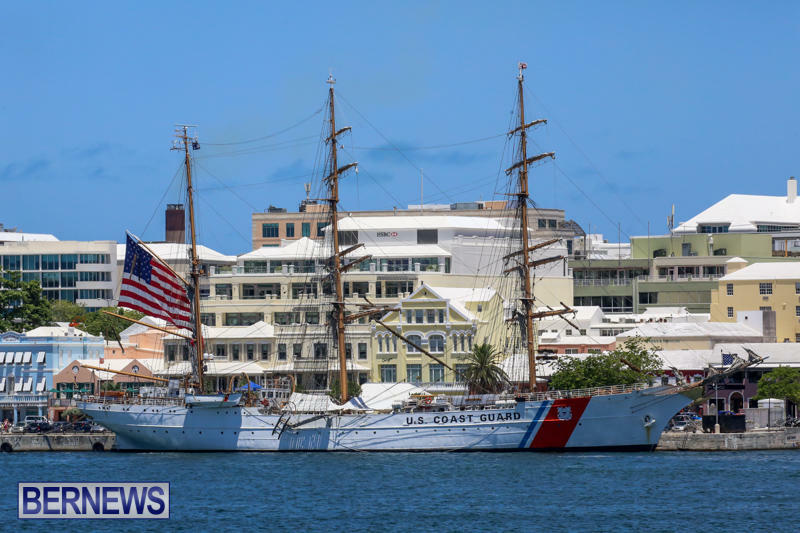 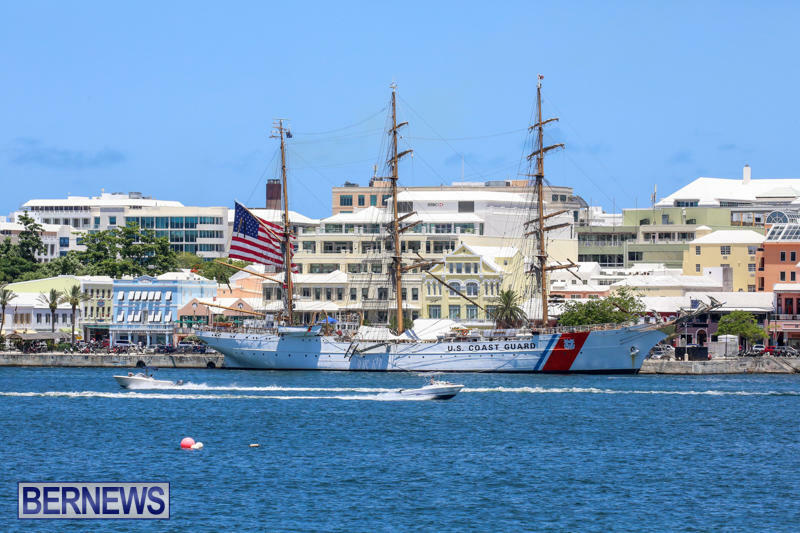 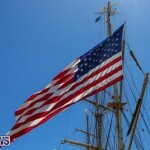 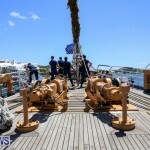 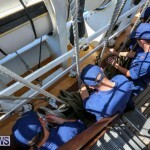 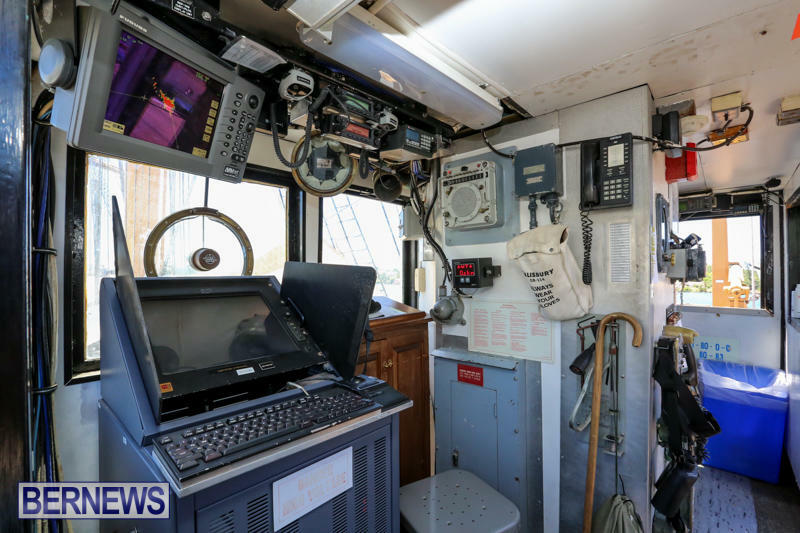 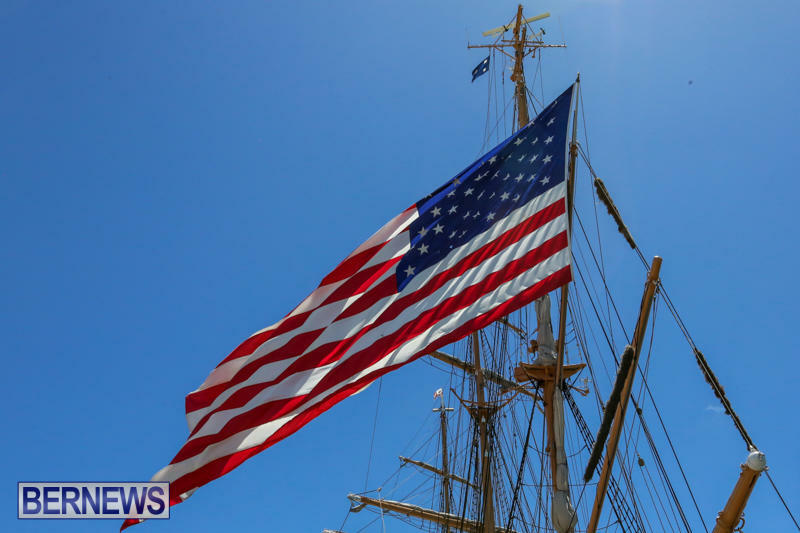 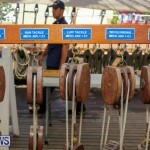 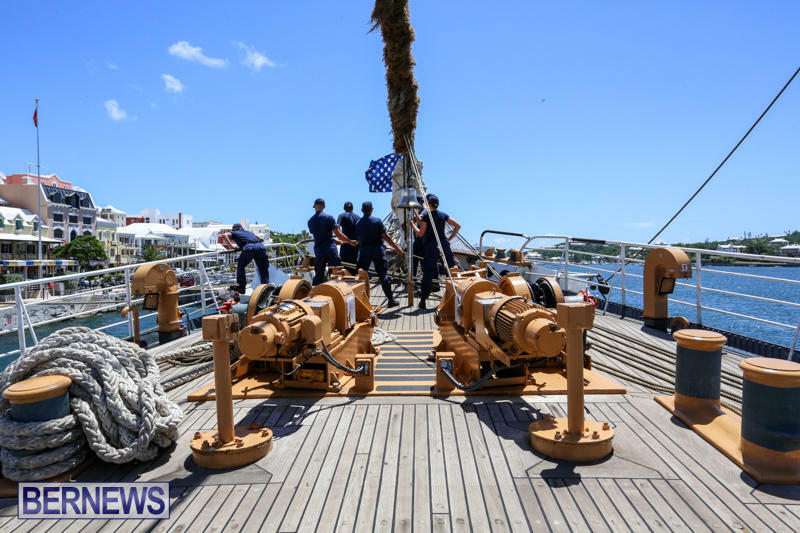 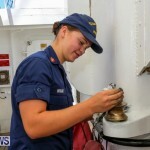 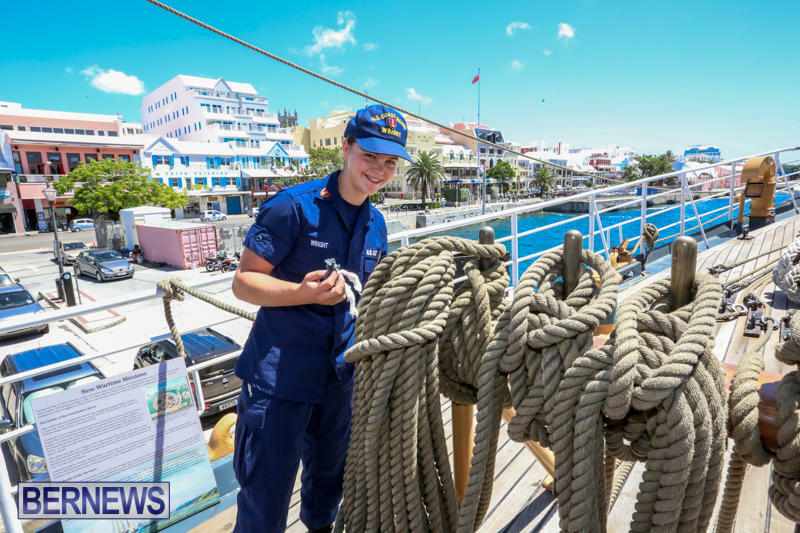 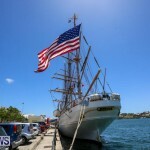 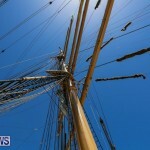 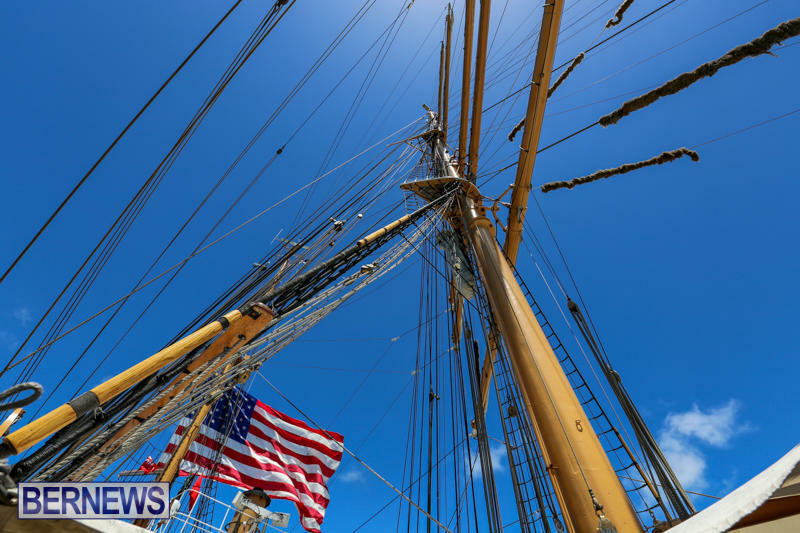 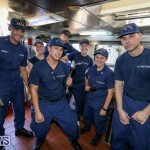 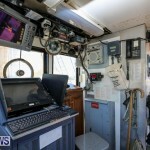 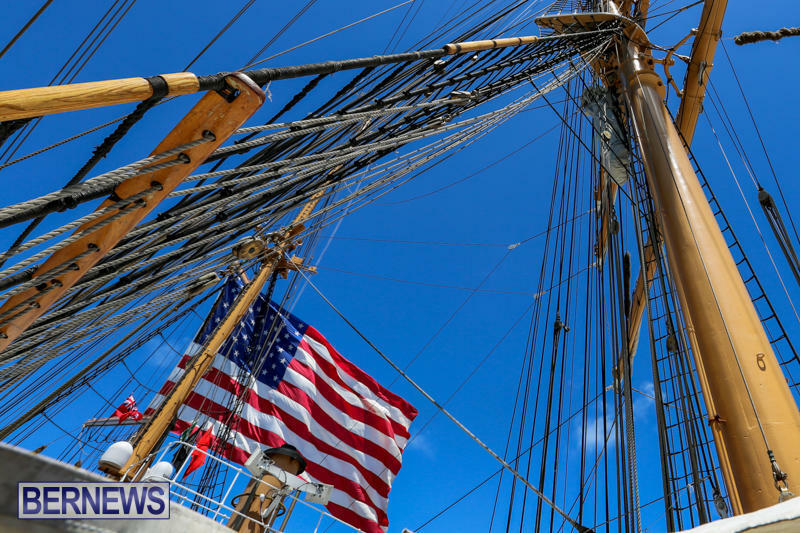 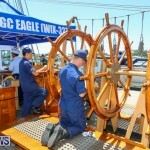 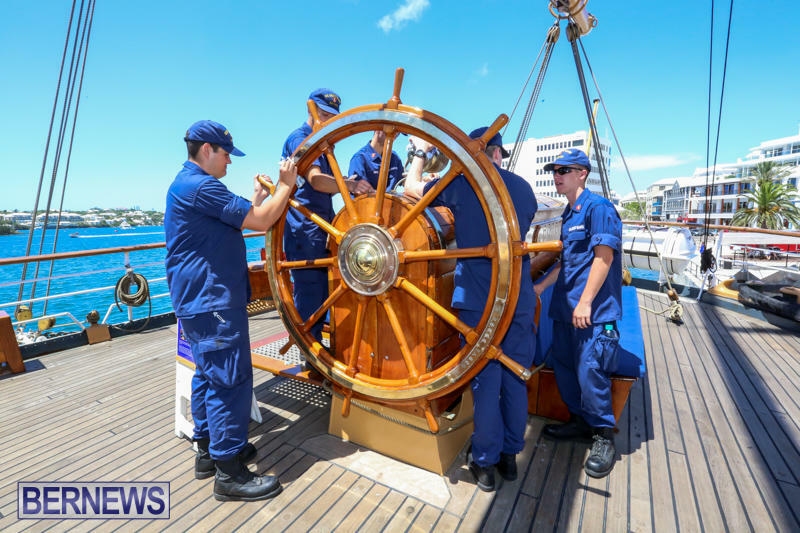 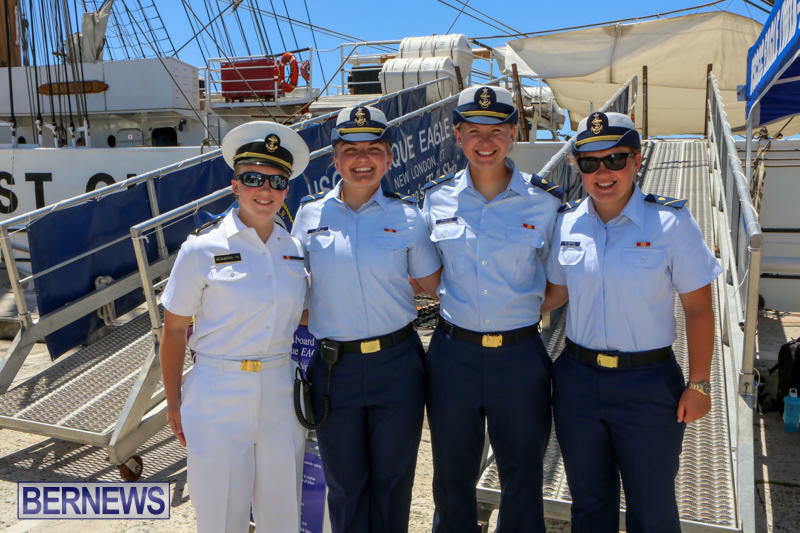 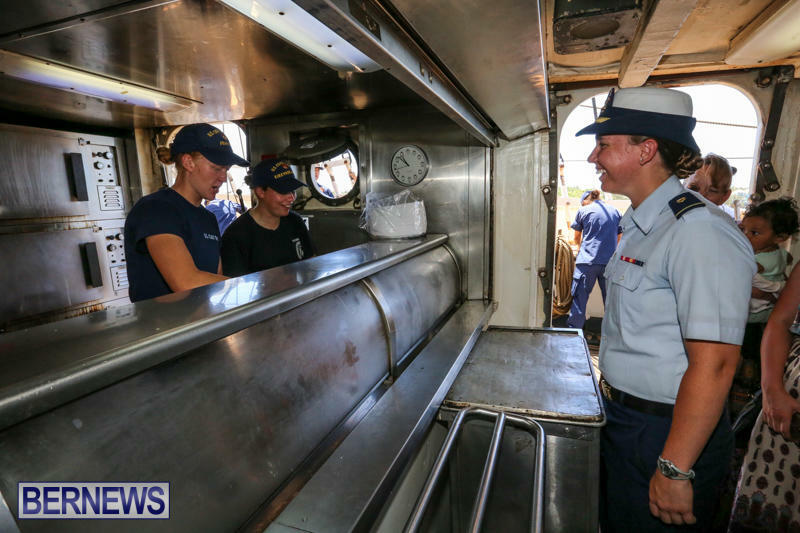 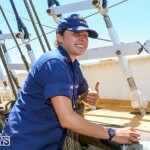 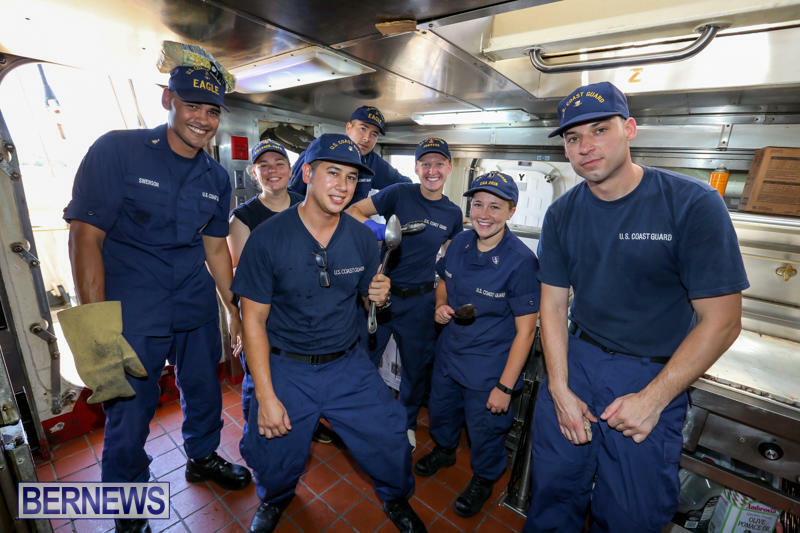 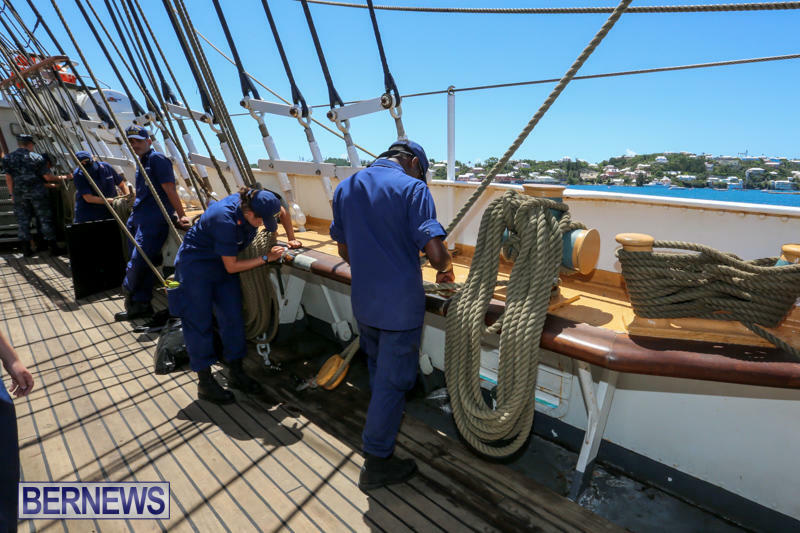 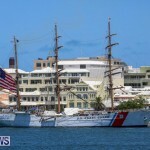 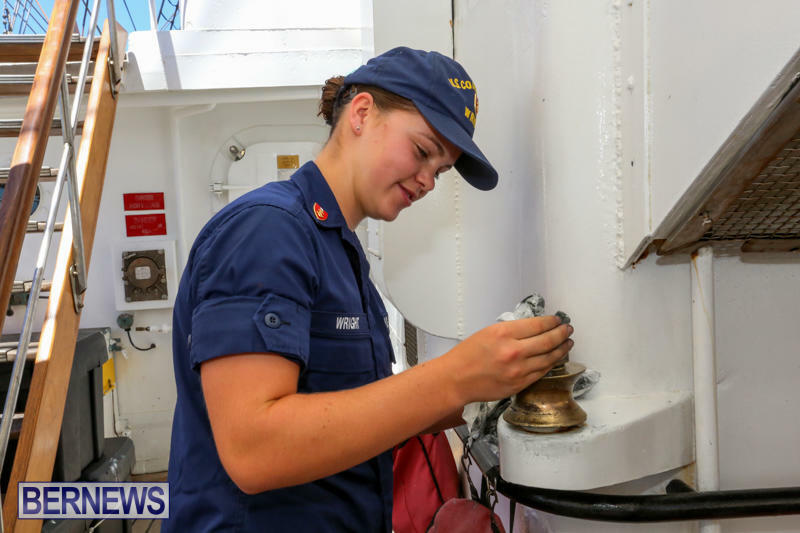 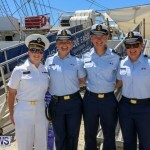 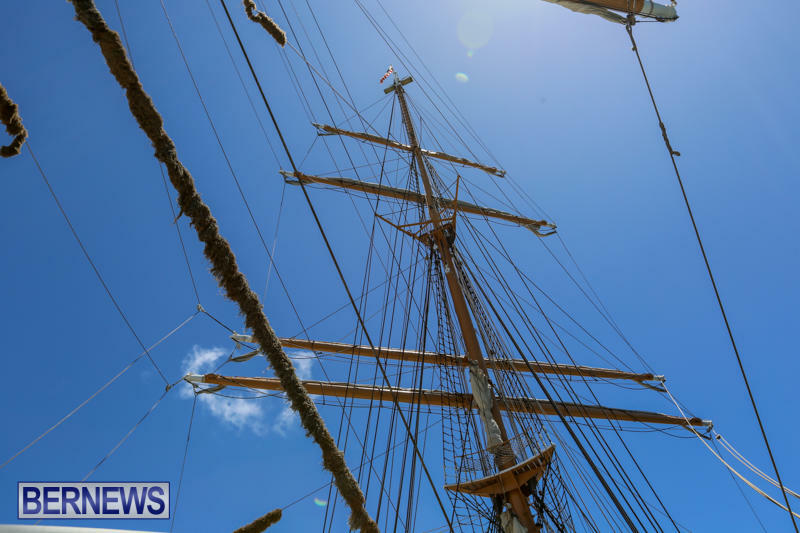 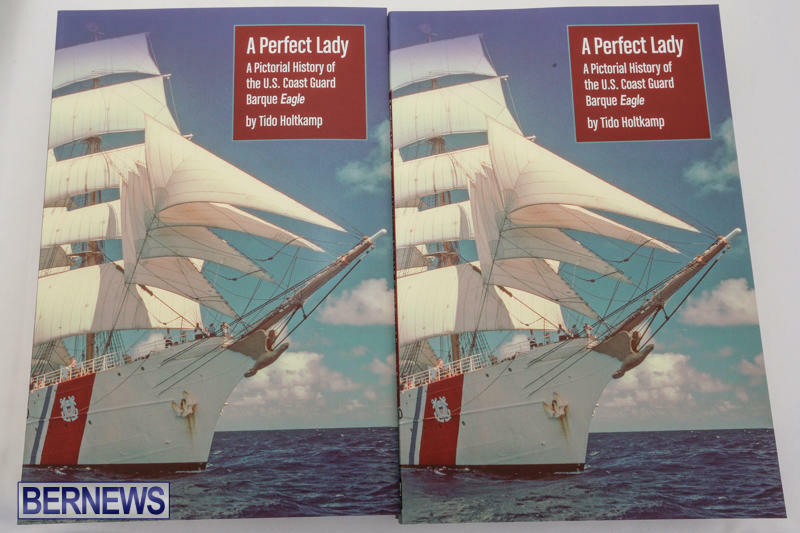 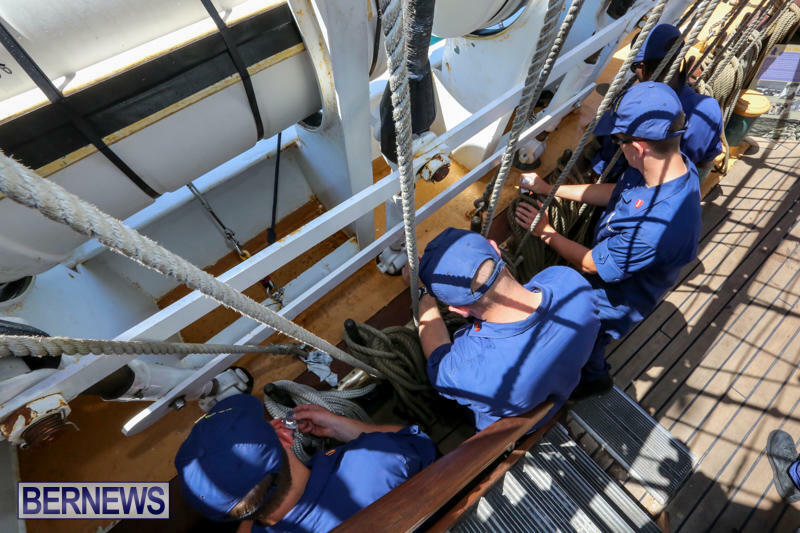 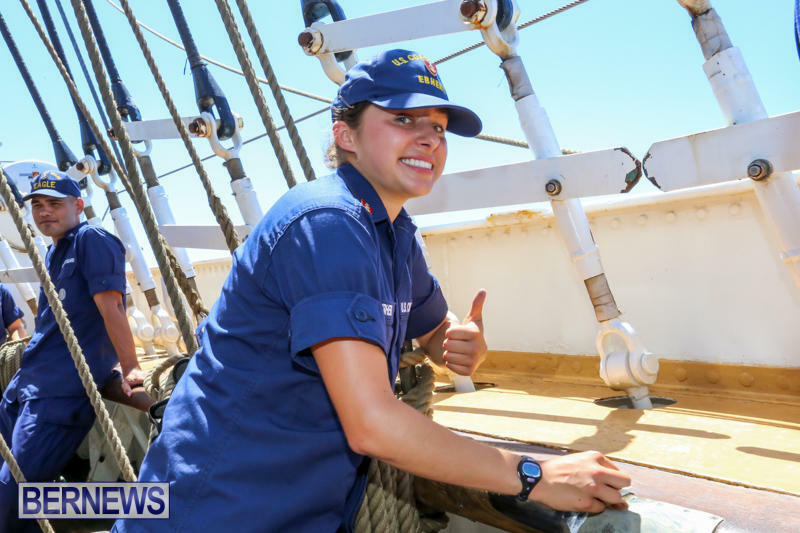 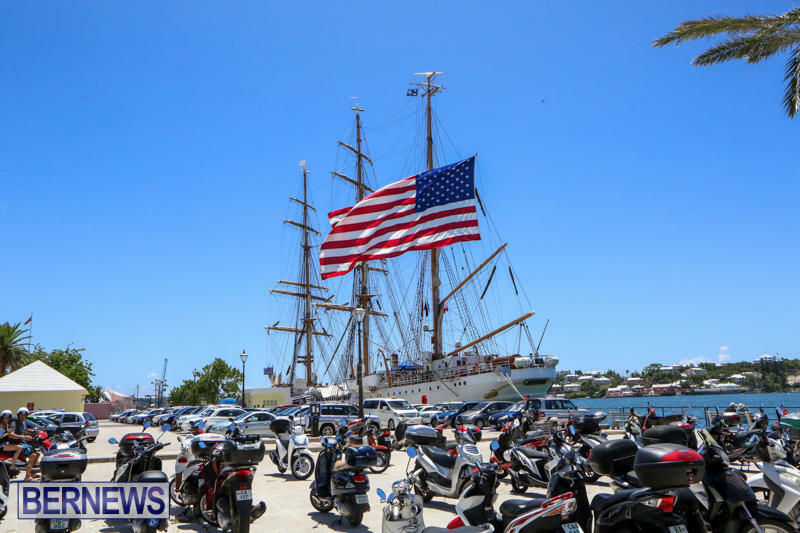 The U.S. Coast Guard Cutter Eagle arrived in Bermuda today [July 4] as part of its 2015 cadet summer training deployment, mooring along Front Street in Hamilton. 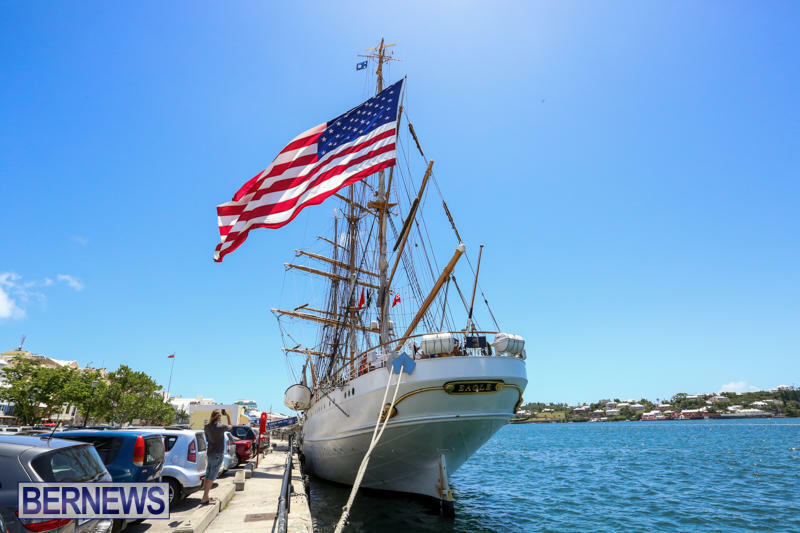 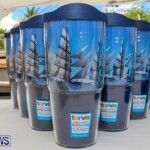 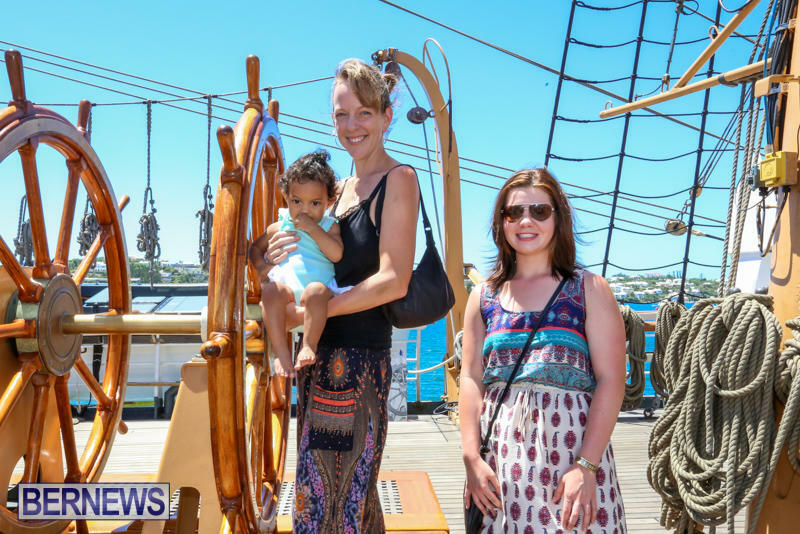 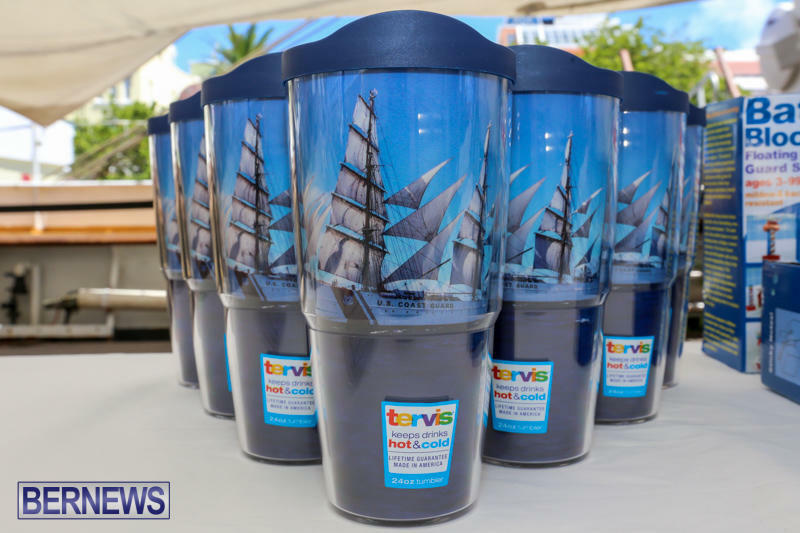 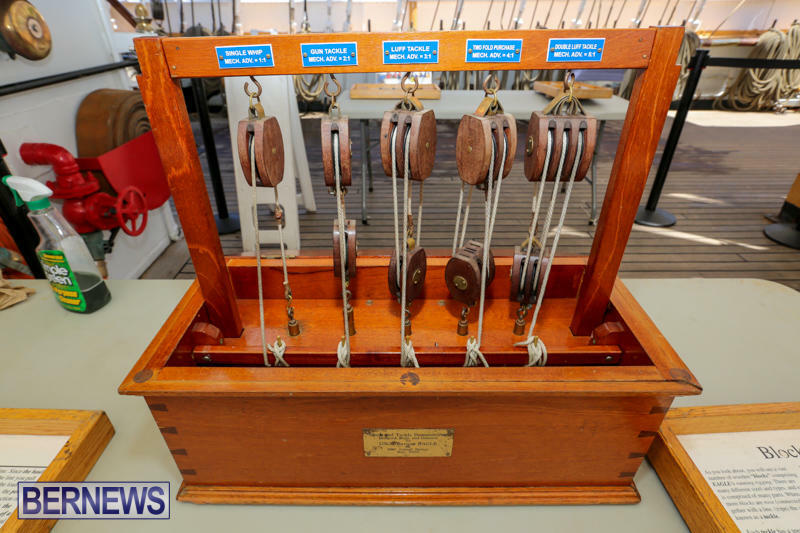 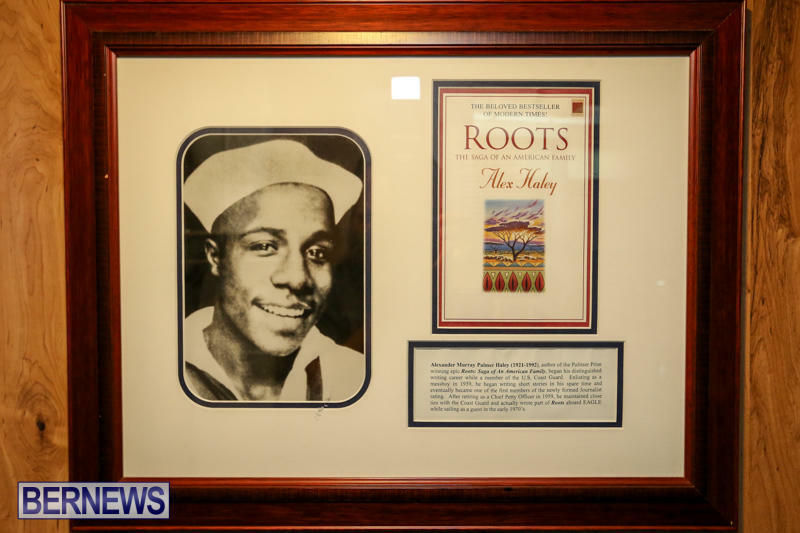 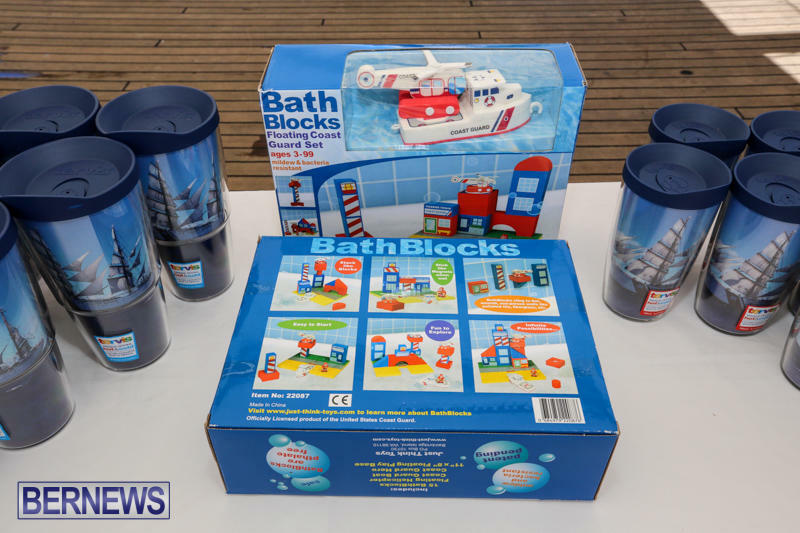 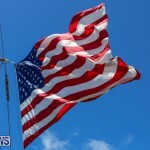 Saturday, July 4 – 1:00 p.m. – 7:00 p.m.
Sunday, July 5 – 10:00 a.m. – 7:00 p.m.
Monday, July 6 – 10:00 a.m. – 7:00 p.m.
Bermuda should feel much pride as this vessel in docked alongside Hamilton on the 4th of July. 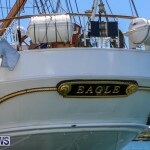 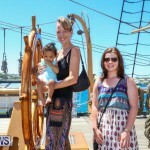 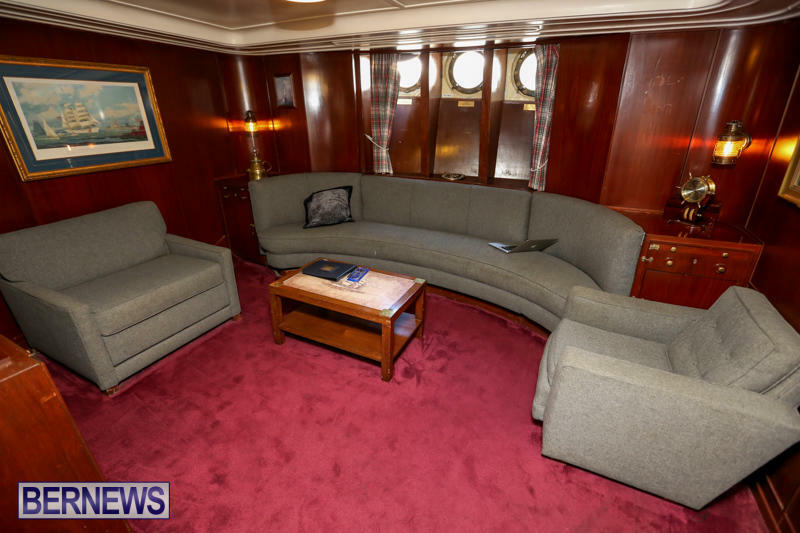 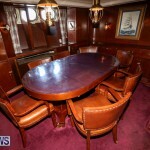 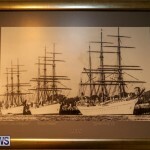 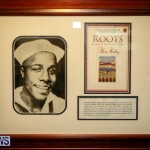 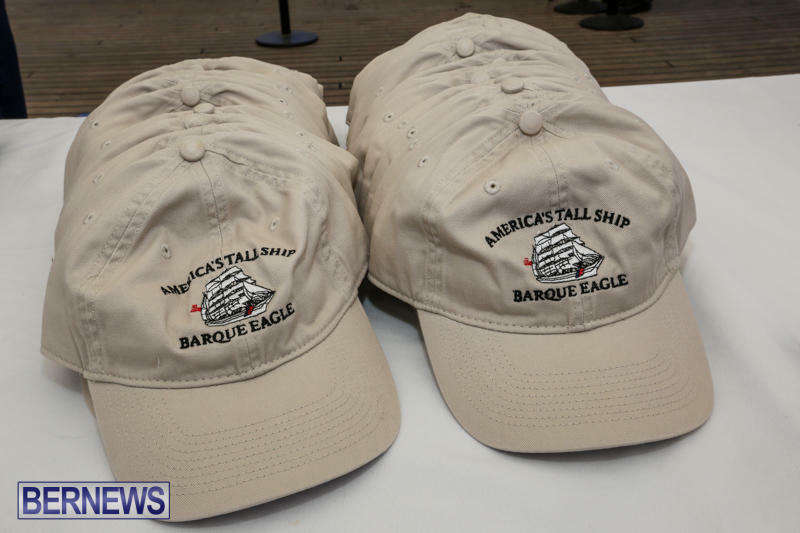 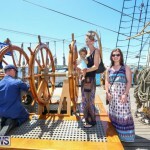 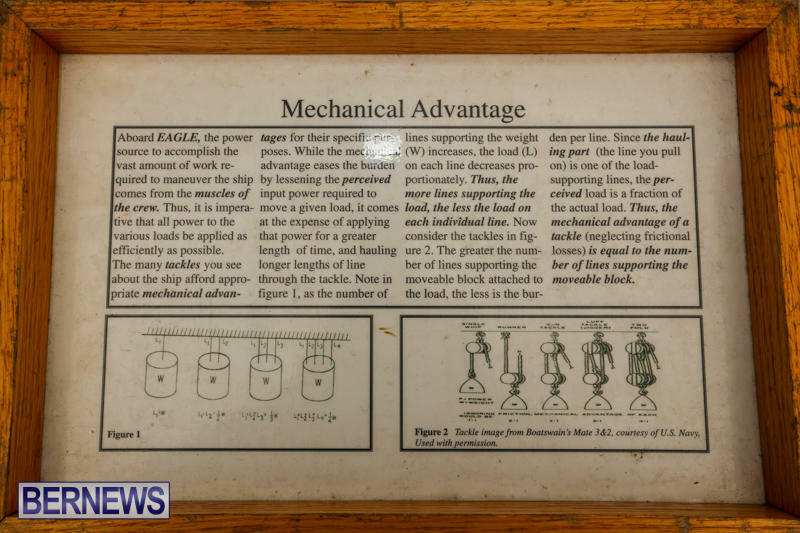 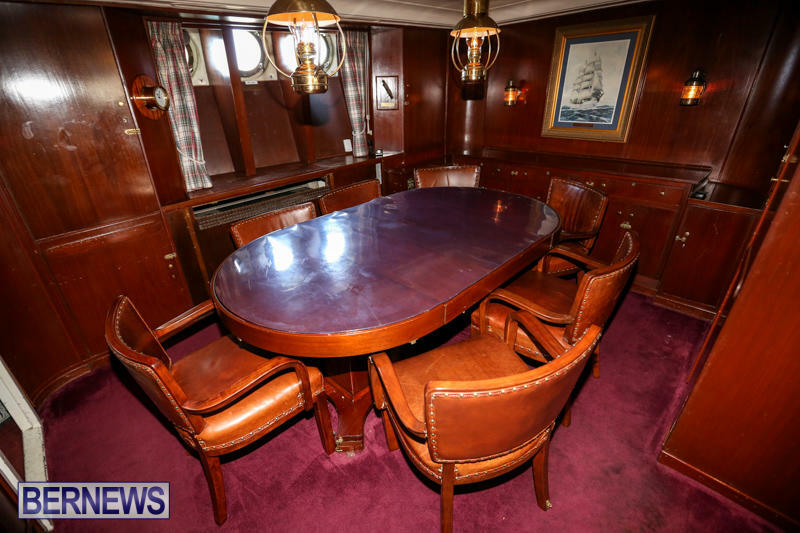 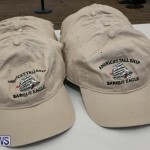 Enjoy your stay Eagle and crew. 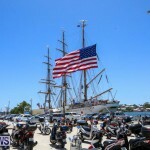 We should? 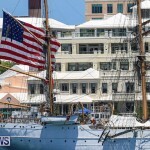 What is the rule concerning flying the host countries’ flag higher? 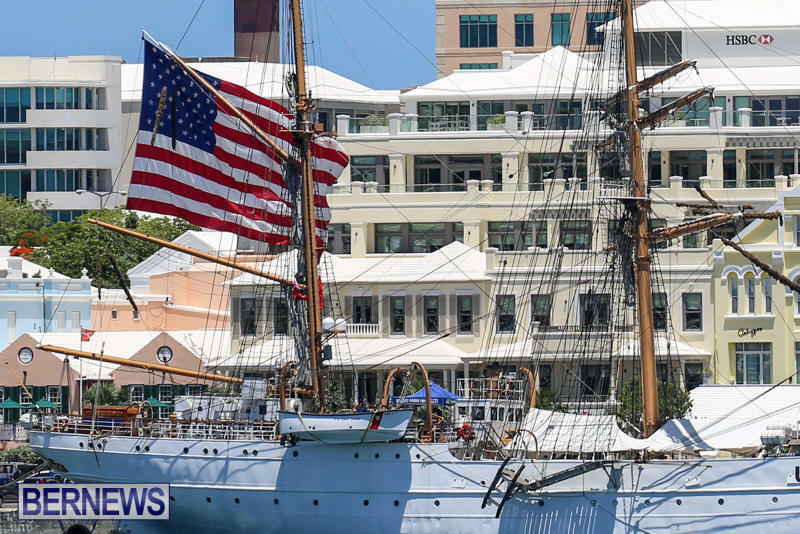 Well, there’s no way Bermuda could match that American flag in terms of size, it’s enormous.